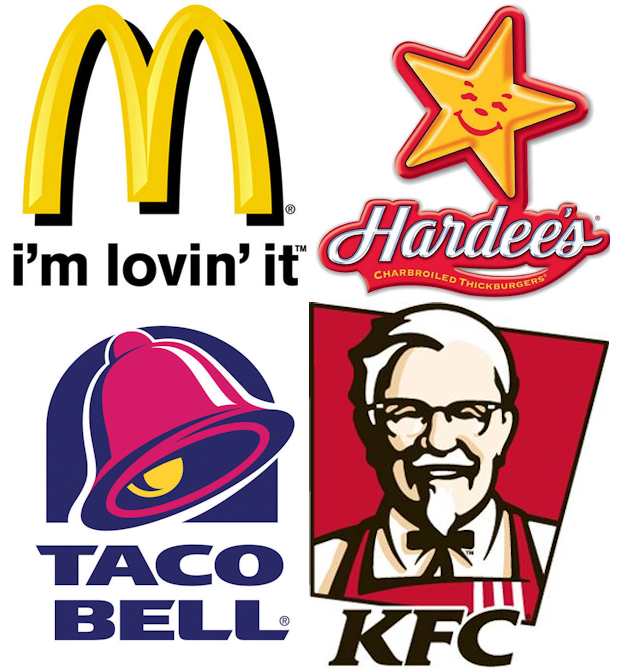 As a retired guy I don’t eat a lot of fast food because I have the time to fix my own meals, so my experience since retiring is limited in this area. Being in the work force rips a lot of your dietary control away from you. You find yourself ‘on the road’ and subject to the vagaries of your present locale. Or, you have a deadline, so you can’t take the time for a proper meal. You find yourself at the mercy of local fast food eateries. But, maybe all is not lost. HELPGUIDE.org offers some worthwhile tips on trying to eat healthy at fast food restaurants. “Making healthier choices at fast food restaurants is easier if you prepare ahead by checking guides that show you the nutritional content of meal choices at your favorite restaurants. Free downloadable guides help you evaluate your options. If you have a special dietary concern, such as diabetes, heart health or weight loss, the websites of national non-profits provide useful advice. You can also choose to patronize restaurants that focus on natural, high quality food. ▪ Make careful menu selections – pay attention to the descriptions on the menu. Dishes labeled deep-fried, pan-fried, basted, batter-dipped, breaded, creamy, crispy, scalloped, Alfredo, au gratin, or in cream sauce are usually high in calories, unhealthy fats, or sodium. Order items with more vegetables and choose leaner meats. ▪ Drink water with your meal. Soda is a huge source of hidden calories. One 32-oz Big Gulp of regular cola packs about 425 calories, which can quickly gulp up a big portion of your daily calorie intake. Try adding a little lemon to your water or ordering unsweetened iced tea. ▪ “Undress” your food. When choosing items, be aware of calorie- and fat-packed salad dressings, spreads, cheese, sour cream, etc. For example, ask for a grilled chicken sandwich without the mayonnaise. You can ask for a packet of ketchup or mustard and add it yourself, controlling how much you put on your sandwich. ▪ Special order. Many menu items would be healthy if it weren’t for the way they were prepared. Ask for your vegetables and main dishes to be served without the sauces. Ask for olive oil and vinegar for your salads or order the dressing “on the side” and spoon only a small amount on at a time. If your food is fried or cooked in oil or butter, ask to have it broiled or steamed. ▪ Eat mindfully. Pay attention to what you eat and savor each bite. Chew your food more thoroughly and avoid eating on the run. Being mindful also means stopping before you are full. It takes time for your body to register that you have eaten. Mindful eating relaxes you, so you digest better, and makes you feel more satisfied. What are the best and worst foods for belly fat? WebMD is offering another of its very informative quizzes. This time on the subject of belly fat and what are the best and worst foods for promoting it. You can take the quiz if you have the time and the inclination. There are 14 questions. I recommend that you do because it covers a broad spectrum of info on this important subject. If you don’t have the time or the inclination to take it, however, (Spoiler alert!) here are the answers for what I consider three of the most important questions. Calories from alcohol are worse for belly fat than other calories. True/False?